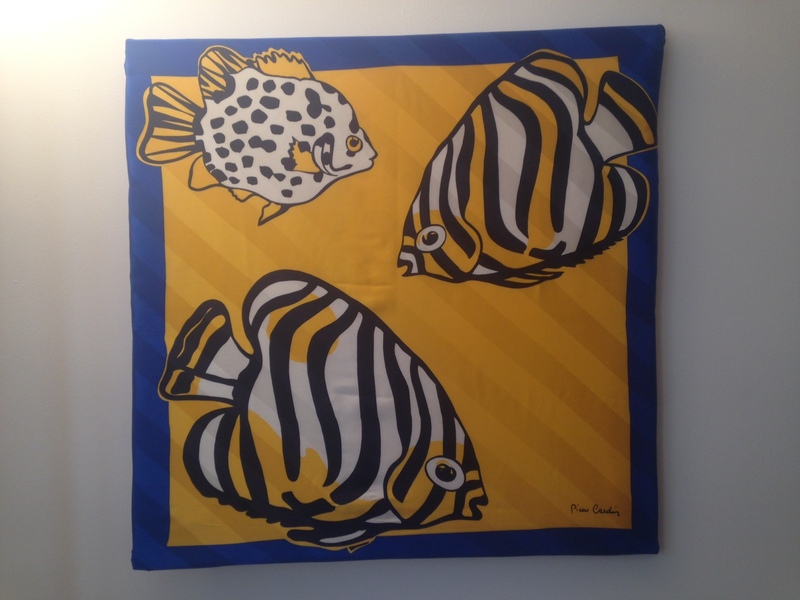 A stunning scarf, a canvas approximately one inch smaller, drawing pins = a fabulous, original picture. I will be taking a stall at this fair next month together with a friend who is selling vintage couture so please come and visit. 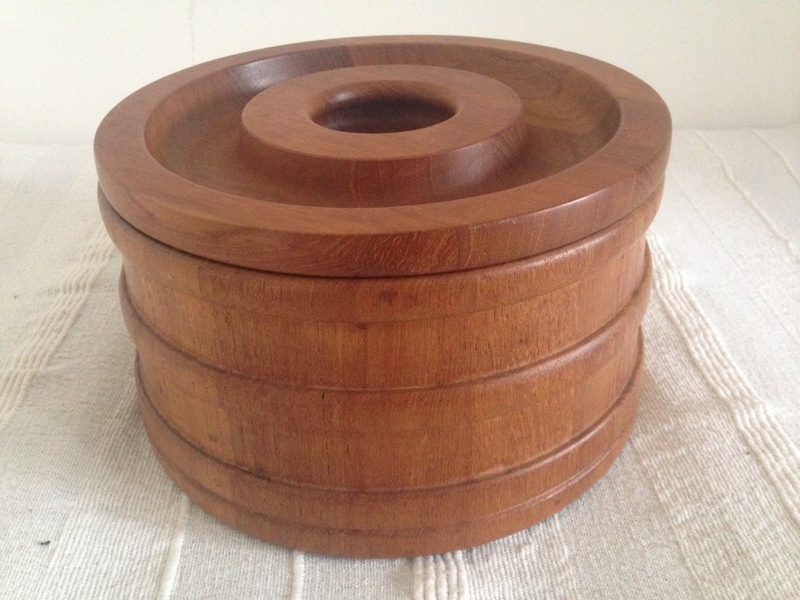 I have lots of new stock including this Dansk teak ice bucket from the 50s, so there will be a lot to check out as well as those of the numerous other stallholders.